As the heart of the home, kitchens are often the gathering spot, the place where family and friends alike convene to talk, to eat, to enjoy the company of one another. As such, it serves both a utilitarian and a social role. For that reason, the details of a kitchen, including the countertop, need to be at once useful and beautifully welcoming. The undeniable favorite choice for kitchen counters, granite has much to commend it, from strength and beautiful design to high return on value when you sell your home. As a natural stone, granite is porous, requiring sealing every year as well a a quick wipe-up of any spills that might mar it. 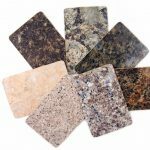 Therefore, if granite is your heart’s desire, yet frequent spills are likely, simply select a darker tone and enjoy your stone counters. The reason engineered quartz has gained high popularity is twofold: beauty and convenience. 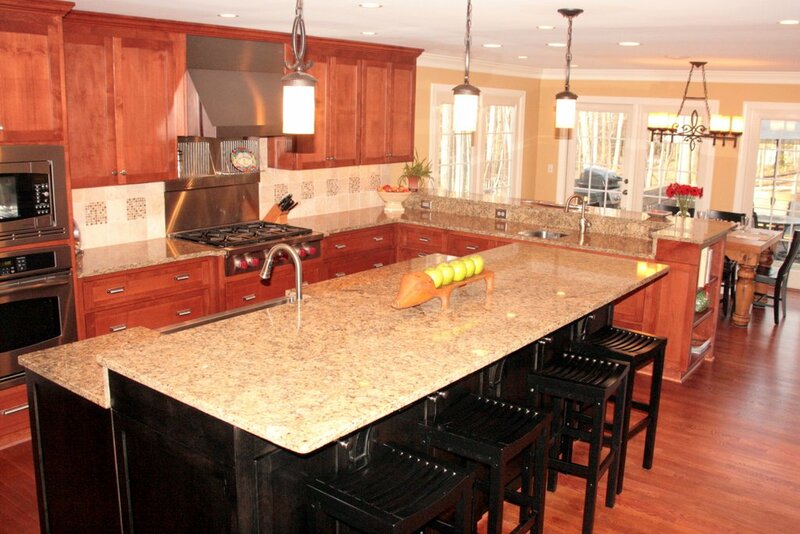 Just as durable as granite and more resistant to stains, scratches and heat, quartz does not require sealing. What’s more, its array of colors and stylized patterns imbue quartz with good looks that transcend trends. Overall, it’s a great selection for those who have little children and like to entertain as well. A stylish, contemporary choice, concrete is versatile. With the availability of myriad finishes — a smooth, “trowel” finish; a rougher, “ground” finish that exposes sand particles; or a “pressed” finish in which a tool creates the look of marble veining — there’s one to suit any decor. Its virtual indestructibility adds to concrete’s allure, making it the chic choice, with or without children. With its warm wood tones and traditional use as a cutting board, wooden counters in a butcher-block style are winners. The fact that they are budget-friendly, easy to clean when sealed and heat resistant draws many cooks to them. Their cozy, cottage-like appeal means wood counters are an attractive addition to a kitchen as well. Alone or paired with a different counter on your kitchen island, countertops go beyond function, becoming part of your design statement in a kitchen remodel as well. 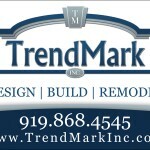 Give us a call (919) 868-4545 to help you design that new kitchen and pick that Perfect Countertop!